A less than 3 minute video says it all. Watch how “badly” I forecast the movement of crude oil and gold at the start of this year on 9th January 2018 with a live audience through a webinar. I’m not even going to show you how “badly” I forecast the US stock market. I’m just showing you the part on crude oil and gold. It was part of my annual market outlook for 2018. And for those who like to get your hands on my annual market outlook for 2019 around 10th January 2019, do subscribe to my free newsletter as I’ll be sending my members the slides of my annual market outlook to them. May the financial markets be in tune with you always. If you like part 1 of the interview by Karen which I posted yesterday, then below is part 2 of the interview. Enjoy. Remember to subscribe to Karen Foo’s youtube channel as it has a lot to offer in terms of learning and education for trading. I would like to say a Big Thanks to Karen Foo for interviewing me and sharing with the masses out there more about trading. Please do check it out and hope the interview helps you in your trading journey. Also I encourage you to subscribe to Karen Foo’s youtube channel as it has a lot to offer in terms of learning and education for trading. Would over $600 profit in a day work for you? All in a day’s work. Would over $600 profit in a day work for you? If the answer is yes, then I’ve a 1.5 hour online training webclass (free for a limited time only) where you’ll learn how I use my strategy to trade the markets successfully. Register at https://www.onlinegurutrader.com/tradetowinwebinar/ for this training web class now. Those who have attended my market outlook forecast back in Dec 2015 to early 2016 through my webinars and offline talks in paya lebar would have remembered I mentioned that gold and crude oil was bottoming out. I was not always right on the markets but these forecast on crude oil and gold, I would say is pretty spot on. In fact, both crude oil and gold bottomed out as what I forecast and crude oil went on to surpassed the price of over $76 from a low of around $27 while gold went from around $1045 to over $1370. Check out the video which was recorded way back on 8th December 2015. And recently I did a public market outlook talk on where the markets are going to move in the months ahead during the Traders’ Fair Singapore at Suntec. I’m sure my forecast will be able to help those who attended, to trade the markets in the months ahead with confidence and reaped in massive profits. And for those in Vietnam, I am coming to HCM, to give a similar talk for the Traders’ Fair in HCM. If you want to know where the markets are going to move and in what direction in the months ahead and how you can profit from it then make sure you be at my talk. See you all during the upcoming Vietnam HCM Traders’ Fair on the 24th November this month. A bounce up for crude oil is expected after testing the psychological price level of $60.00. Generally, the USD should remain weak for this week. 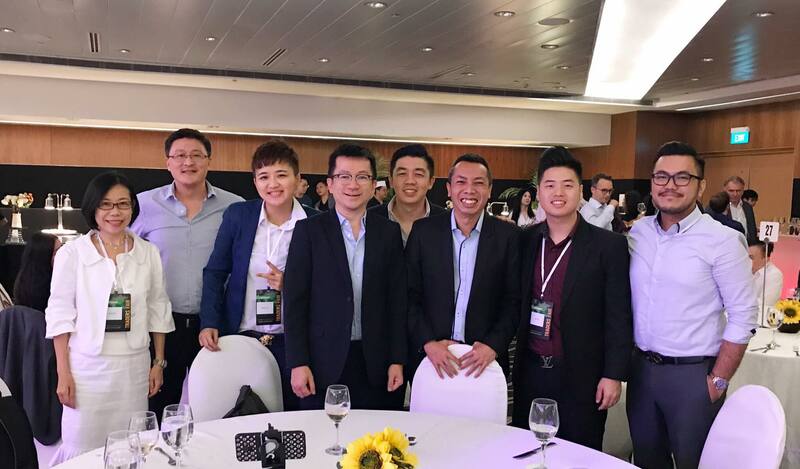 It was great to catch up with fellow trainers and speakers during the recent Traders’ Fair Singapore. One topic that came about was the topic of some speakers/trainers going around to disturb other speakers talk, bringing them down. My take is this… If someone has the time and energy to bring people down, then why not use that spare time and energy to improve your service and training and share more to the public masses. You see, (1) one can bring people down to show to others he/she stands out or (2) one can bring people up to show he/she stands out too. I prefer the (2). And I totally understand why people would choose (1) because it’s easy and gains traction fast. It resonates with the masses quickly and easily but I just don’t feel it is the right thing to do.